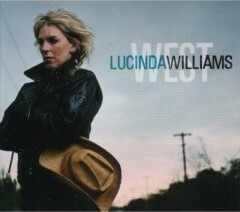 1) Lucinda Williams - Are You Alright? Are You Alright?, the opening cut from her latest endeavor West, arguably is the most grief-stricken song that Lucinda Williams ever has penned. Lost and lonely, she ponders the well-being of an ex-lover, but the way in which Williams repeats the title phrase over and over again makes it sound as if she is the one who needs to be comforted. The surrounding arrangement lends a ghostly quality to the tune, which allows it also to fit quite comfortably with the other focal point of the album: the death of Williams’ mother. Are You Alright? is the sound of a heart that has been battered and broken by life, and it is a plea for assistance to anyone who happens to be listening. Whether Bruce Springsteen really cheated on his spouse is up for debate. Believing that it happened, however, makes Play It As It Lays, Patti Sciafa’s latest effort, resonate with even greater force. She delivers the title track in a relaxed and nearly unassuming fashion, but as the words roll off her tongue, she unforgettably paints a mood that contains both sadness and hope. As she wanders through her memories, she finds strength where she least expects it, and as a result, her initial resignation is transformed into a desire to reignite the embers of love that still glow in her heart. Robert Plant and Alison Krauss’ Raising Sand is full of understated beauty. None of its tracks, however, are quite as soft, ethereal, and lovely — or as crushing — as Killing the Blues. Over the course of the tune, the voices of Plant and Krauss are intertwined in a delicate dance with Greg Leisz’s pedal steel accompaniment, and the results are positively heavenly. Considering that the song floats by as gently as a whisper, Killing the Blues leaves behind an impression that is tremendously deep. "I don’t want to be your friend/I just want to be your lover," croons Thom Yorke on House of Cards, a song that serves as the turning point of sorts for Radiohead’s latest effort In Rainbows. Yorke has never sounded as seductive as he does here, nor has it ever been this easy to understand what he’s singing. House of Cards is a song about infidelity, though in the grander scheme of In Rainbows, it also highlights the ways in which people wrestle with love. The music that surrounds him is beguiling and romantic, yet, it also portentously encapsulates the reluctance in his lyrics. Unable to resist, he follows the song of the Sirens, knowing with no uncertainty that he inevitably is doomed. South Texas Girl is the sound of Lyle Lovett getting back to basics, and suitably, it finds him wistfully reflecting upon his childhood, while lamenting how the times have changed. Delivered as a warm, gentle waltz and featuring the weathered vocals of Guy Clark, South Texas Girl is as much about love and life as it is about the formative moments that quietly turn kids into adults. The song’s images and emotions combine to form something that is cinematic in scope, which in turn is what ultimately makes this slice of nostalgia work as well as it does. Although there are better tracks to be found on the endeavor, Sky Blue Sky’s most ingratiatingly accessible point of entry is What Light. 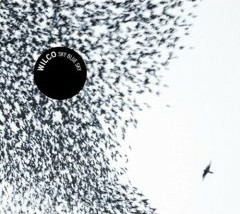 Considering how experimental Wilco has become in recent years, it is somewhat surprising how simple What Light’s lyrics and music are. Like a modern day rendition of The Band performing a time-tested tune from Bob Dylan or Woody Guthrie, Wilco uses What Light to draw closer to its alt-country roots than it has been in quite some time. Infused with an air of determination, the song builds to a full head of steam until it becomes a mantra for following one’s heart. Stuffed squarely into the center of Trey Anastasio’s uneven outing The Horseshoe Curve are two tracks that were culled from his archive of concert recordings. Not only do these tunes (The 5th Round / The Horseshoe Curve) serve as the heart and soul of the endeavor, but they also give to the collection the sort of focus that saves it from being tossed onto the scrap heap of enjoyable yet otherwise forgettable moments from Anastasio’s solo career. Filled with percolating rhythms that are punctuated by ringing blasts of horns, The 5th Round and The Horseshoe Curve form one, long, jazz-rock groove that ranks among the best things that the former Phish guitarist ever has committed to tape. There’s no question that these cuts are likely to appeal only to those who frequent the jam band and jazz-fusion scenes. Yet, they also feature the kind of inspired improvisation that these same fans desperately need to hear. Over the past few years, John Fogerty relentlessly has assaulted the Bush Administration for its policies both at home and abroad. Despite his best efforts at pouring his concerns into his work, he nonetheless still has enough venom left to unleash a ferocious tirade like I Can’t Take It No More. The song essentially is a ’50s tune — think Chuck Berry or Little Richard — that is revved up considerably until it explodes in a blast of punk-driven fury. It’s so simple that it borders upon being a complete throwaway. Yet, like any good garage rock anthem, its bilious rage also is utterly therapeutic, at least to those who agree with his sentiments, which, judging from the polls, is most of the country. John Mellencamp’s music always has been a hybridization of country, blues, and folk styles, but too often, he has transplanted his material in the unfertile ground of radio-friendly pop. Trouble No More, his 2003 collection of cover tunes, revealed a lot about the kinds of artists with which he wanted his own work to be associated, and Rural Route is his first tune to not follow the path down which he usually heads. Its subject matter likely had something to do with altering his approach. By telling the tale of a little girl from Indiana whose father’s crystal meth habit gets her sexually assaulted and slaughtered, Mellencamp forced himself to break free from his usual routine. Although Rural Route is not an easy song to embrace, it nonetheless is the most haunting thing he ever has written, and it bodes well for his collaboration with T Bone Burnett, which is slated for release in early 2008. Amy Winehouse’s Rehab has an insistent melody that is impossible to shake. It helps, of course, that it also sounds as if it was produced by Phil Spector back in the 1960s. The events of the past 12 months have been akin to a ride on a roller coaster for Winehouse. As a result, Rehab’s emotional contours have been altered dramatically. Instead of defiant posturing, it now comes shrouded in the darker context of an artist who sadly refuses to get the help she needs to survive. For everyone else, it’s still a lot of fun to sing.